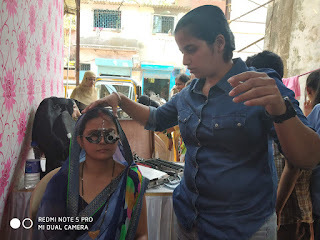 19-March-2019, Mumbai: The Don Bosco Development Society (DBDS), organized a free health and eye check-up camp for the women and children residing in Ashok Nagar slum in Ghatkoper. 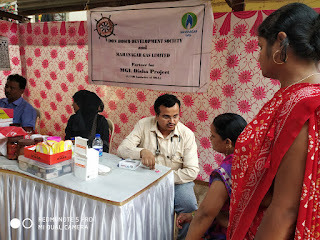 199 patients (42 children, 33 men and 124 women) were examined by the doctor in this camp which was held under the aegis of ‘MGL Disha Project’ supported by Mahanagar Gas Ltd.
Ms. Zarina Khan (Staff- DBDS) welcomed the doctors and their para-medical staff. 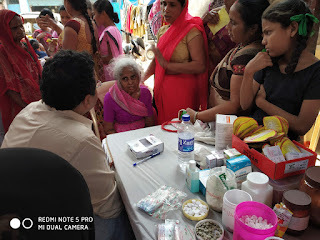 Dr Abhishek Jandade, Mr. Pramod Bhadavalkar and their team examined the patients. 55 people were identified with weak eyesight who were given spectacles at subsidized price and 7 people were identified with Cataract, who were referred to Bacchu Ali Eye hospital for subsidised surgery. 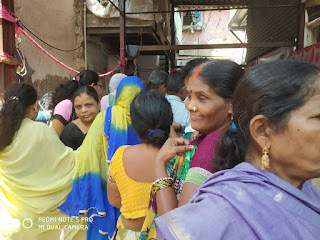 The women from Self-Help Group and other volunteers from the slum were extremely helpful as they helped in logistical arrangement for holding this camp. 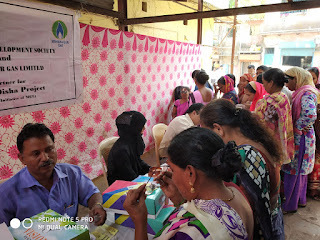 “We are very grateful to Don Bosco for this health camp, we are given health service at our doorstep” said Mrs. Manorama (one of the beneficiary of the health camp). 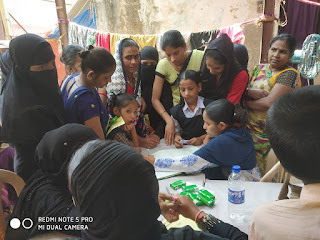 The support class teachers mobilized people to attend this health camp. They also proposed the vote of thanks at the end.